PGO Automobiles is France's most exclusive sports car manufacturer, making two similar but distinctive models for those discerning customers who want individuality and style, without supercar pricing, or classic temperament. 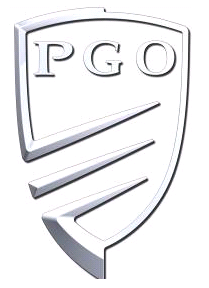 PGO was started in the mid 80s by two enthusiasts whose initials formed the brand: Prévôt Gilles and Olivier. The PGO company rapidly moved from building replicas of Cobras and Porsche 356s to producing their own design. The Speedster II, offering neo-retro styling and modern specification, debuted at the 2000 Paris Motor Show winning plaudits from the press for its technical prowess and beauty. In 2005 the new owners Al Sayer International, funded improved research, development, crash testing and an extended model line up which produced the stunning Cévennes roadster – proven Speedster II engineering with advanced sports styling. PGO’s presentation of the new Hemera Coupé at the 2008 Paris International Motor Show confirms its position as a specialist producer of stylish sports cars for those people who don’t wish to choose between discrete exclusivity or high-octane emotion. RHD models are assembled in the UK by Lifestyle Automotive Ltd.